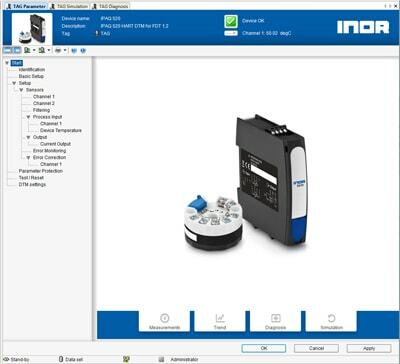 The new generation of INOR DTM for IPAQ 520 will provide a completely redesigned, modern style, enhanced functionality for a better usability and FDT2-frame-compatibility. Device Type Managers (DTMs) are one of the front-end user interfaces and therefore needs to be designed for high usability, good software ergonomics and clear structure. Learning from field experiences with our existing DTMs, major enhancements have been made.